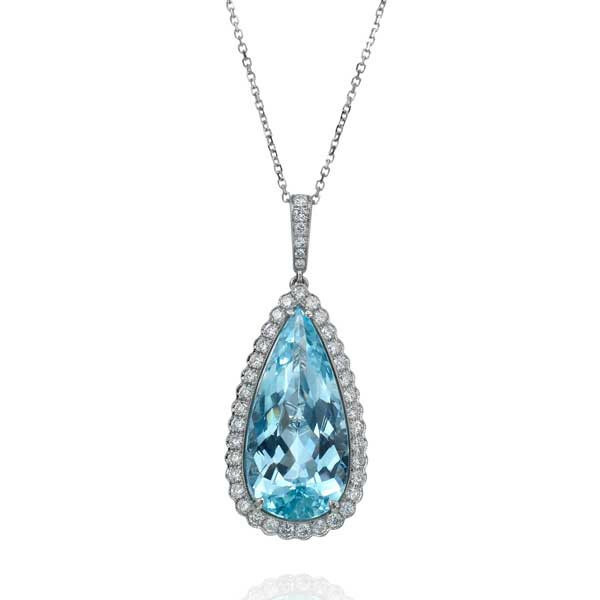 This 18kt white gold pendant features a teardrop-shaped aquamarine gem surrounded by brilliant white diamonds beneath a diamond bail, A gold chain is included. Do you, or someone you know, have a March birthday? Is blue your favorite color? Consider this pendant!